Note The case is the same of Gradiente Expert in black color. 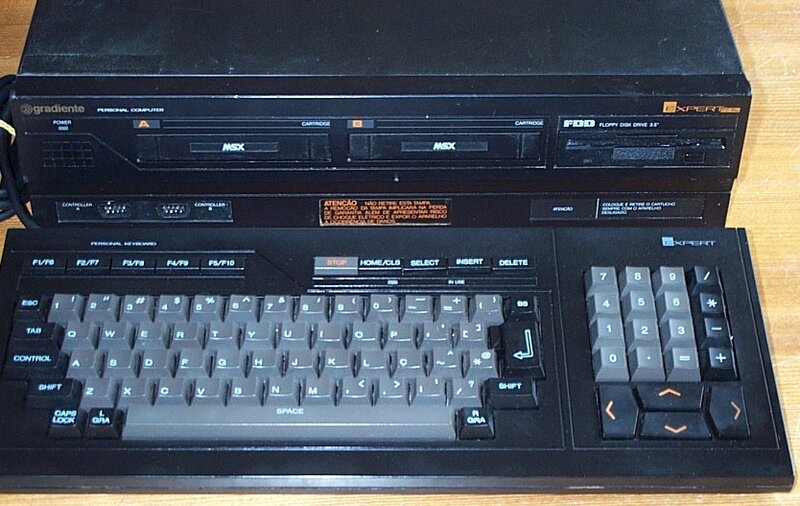 It has a MSX engine T7937A. This is a single chip that include the CPU (Z80A), Video (TMS-9918/TMS-9928/TMS-9929), audio (AY-3-8910) and I/O functions.